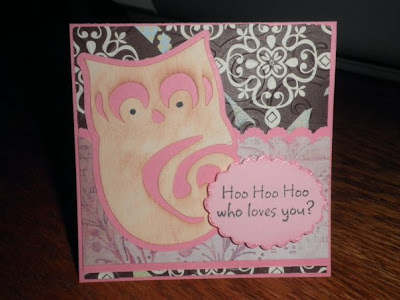 Paper Crafts by Candace: More Valentine Cards.. Some more valentine's day cards. 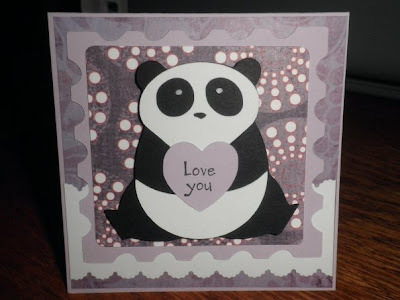 First one- Panda is from pagoda, heart is from sweethearts and the light purple background shape is from gypsy wanderings. 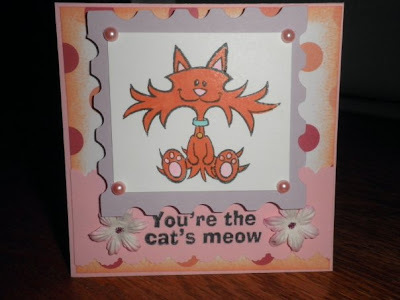 Second card- the purple background is from gypsy wanderings. The owl is from Gypsy wanderings. The oval scallop is from storybook.